How do you feel before going to the dentist when you know it’s going to be painful? Perhaps you find an excuse to put it off for a while. That’s what I do! The logic of self-protection tells me that if I don’t know about the cavity, I can avoid the pain of getting the cavity fixed. Think of any difficulty you’re enduring that was caused (or worsened) by the sin or unhealthiness of others. When did it start? If you knew a day before the troubles began what was really ahead of you on the journey, would you still have taken the same path? What if you knew that blessings would come from it? Ahh, I can feel your struggle! A part of you would like to believe that the blessings are worth all the sufferings. You’re hoping that you’d have the courage to say yes for the sake of the good that will come of it. But a larger part of you (if you’re like me) wants to run, not walk, to the nearest exit. A few years ago I was put to this test for the first time. As administrator and faculty member of a week-long Catholic Lay Evangelization School held at my parish, I thanked God for the work He was doing in the participants. There lives were being transformed before my eyes! Note, it was not an audible voice, but it was loud nonetheless. And it didn’t take long for me to figure out that answer. Suffer? Nobody likes to suffer, and certainly not me! What did God have in mind? Would my house burn down? Would my husband be killed in a car accident? Would one of my kids come down with some life-threatening disease? So far in life, I’d managed to live without any sort of big disaster. The desire to avoid suffering has been trained into us ever since we were infants and someone changed our diapers whenever the load got heavy. In our culture, commercials for Tylenol and Extra Strength Excedrin bombard our minds and Dr. Kevorkian is a household name. We’ve been brainwashed into believing that all pain is evil. Check your medicine cabinet. How many methods of shunning pain do you see there? Can We Rejoice In Our Sufferings? Rejoice in our sufferings? RE-joice means experiencing joy over and over again, continually. 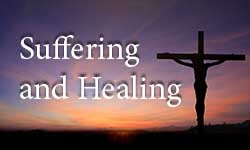 For many years, I couldn’t figure out how to feel any joy in suffering, but when I connected my sufferings — each individual situation that hurt — to the sufferings that Jesus went through on Good Friday, I learned something about the miracle power of suffering. I discovered a much deeper intimacy with Him than I would have gained anyway else. Our lives can be destroyed by pain or they can be improved by it. We find joy only when we stop complaining, take our focus off of evil, and let God’s healing love change us. 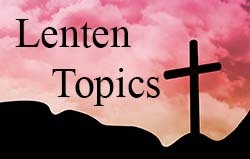 Our holiness increases when our sufferings connect us to Jesus. Your savior knows how you feel. He understands why you feel this way. He shares in your sufferings. In the timelessness of Christ’s love, He took your sufferings to the cross with Him. And the Father is always working a great plan for good, not disaster (cf. Jeremiah 29:11), a plan that will transform the bad situations in your life into truly great blessings, your crosses into resurrections. During the Evangelization School, I couldn’t get God’s question out of my mind: Are you willing to suffer to become a better minister to My people? Did He want me to suffer? Is He a God who enjoys inflicting pain on His children? Of course not! Jesus took the punishment we deserved when He suffered on Good Friday, and that debt has been paid in full. However, we don’t live in heaven yet. We live here where suffering is a normal part of existence. No matter how hard we try to avoid it, it comes, so I figured that if I’m going to suffer anyway, it might as well be endured for the glory of God. I might as well avail myself of His plan to make me better at ministry. As I approached Jesus in the Blessed Sacrament in the communion line at Mass, I thought of the pain He allowed His enemies to inflict upon Him for my sake. Could I say “yes” like He said “yes”? My spirit became willing but my flesh was still screaming “NO”! Soon I was standing before the priest. He held the Host before me. “This is the Body of Christ,” he said. Soon afterward, what had been a good relationship with a close friend of the family became one of increasing difficulties. The friend’s behaviors created problems we didn’t know how to handle. He needed our unconditional love and continually repeated forgiveness, but this became harder and harder for me to give. Even going to counseling with him did not help. Each day, I had the option of changing my “Yes, Thy will be done” to “No, my will be done, I want out of this mess!” I could have broken away from God’s plan early, but with God’s help, I learned how to love the unlovable. It was going to be a very long four years of persistently renewing my “yes”. In the end, the relationship was destroyed because he turned away from the healing that God had been offering to him through me and my family. Although I might never see the resurrection of that friendship, I have been resurrected into a new Christian, and I don’t regret any of the hardship. I had entered into the Passion of Jesus. 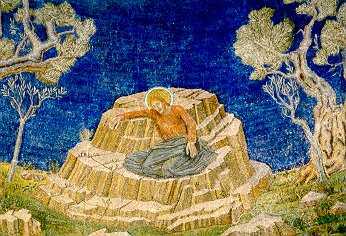 In the Evangelization School, I had joined my Lord at the rock in the Garden of Gethsemane. Soon after, our friend became our Judas. Later, he made false accusations that caused another friend to reject me, like Peter denying Jesus. For a little while, a group of my prayer-support friends abandoned me, scourging me with condemnation that I did not deserve. I was nailed to the cross when our friend’s choices made it impossible for me to move beyond the problem, because there was nothing I could do to restore health to the relationship. When it came to an end, I had to accept that the friendship had died. I had to let go, send him away, and leave him in God’s hands with a prayer: “Father, into Your hands, I commend this man.” I wouldn’t even find out if he ever got the help he needed. Would he someday find the love he had so desperately sought but sickly misinterpreted while in my life? 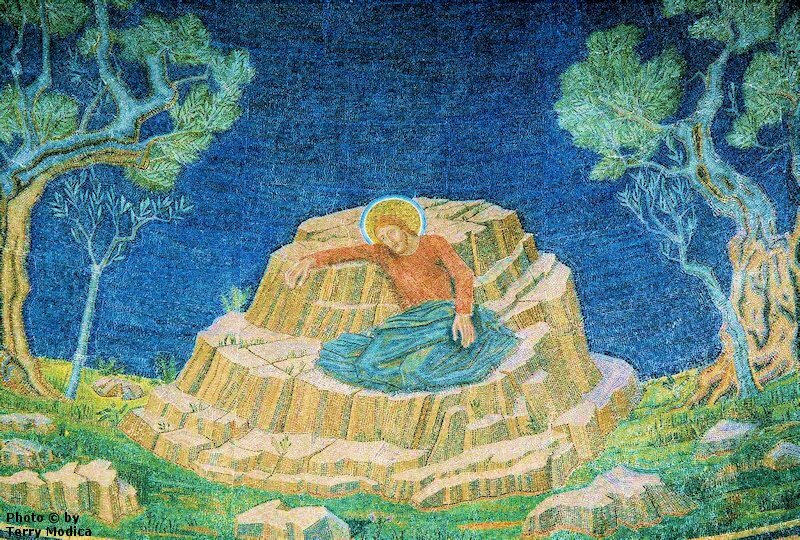 In the tomb of waiting, it’s impossible to see what God is doing. Our greatest sufferings come not from physical ailments or financial problems, but from laying down our lives — and our vulnerable hearts — in difficult relationships. Are you willing to love someone even when it hurts, when you’re rejected, falsely accused, abandoned and overwhelmed? Are you willing to lay down your life that way? This is the Garden of Gethsemane question that God asks each of us who say we want to follow Jesus. That’s the voice of our flesh-nature, not the Spirit, in us. Jesus, too, heard His flesh-nature scream out a great big “NO!” He overcame His flesh by choosing to obey His Father, but it was difficult. Let us not underestimate how hard that was for Him. He was like us in every way except sin (cf. Hebrews 4:15).